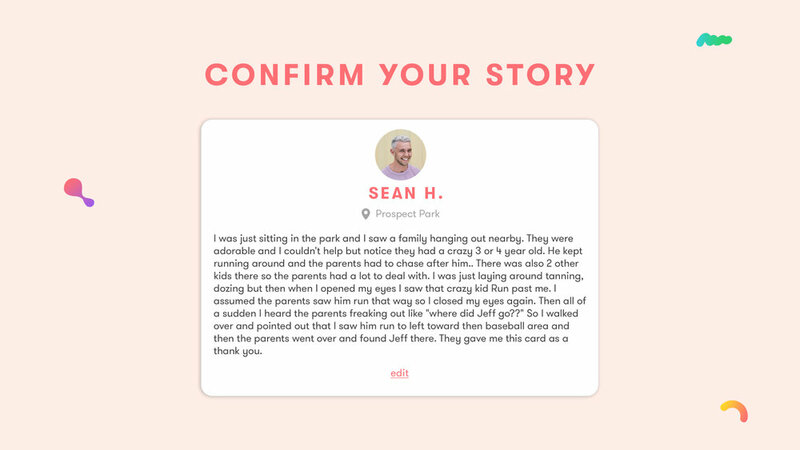 We teamed up with Havas Worldwide to develop a responsive website dedicated to spreading kindness. 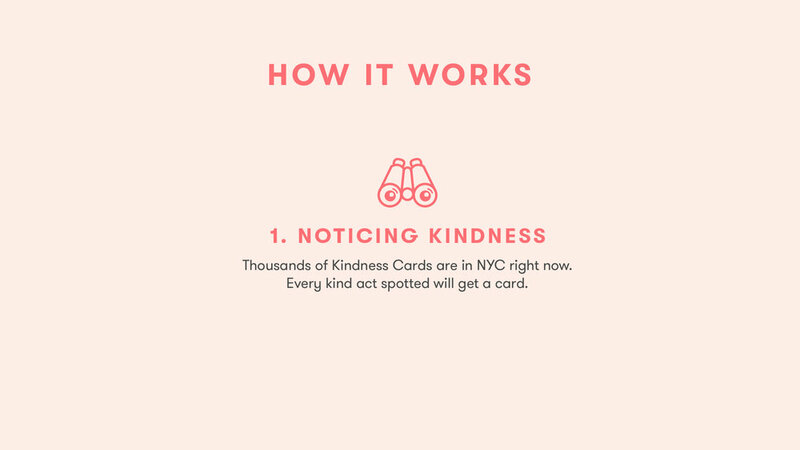 The Kindness Card was a social experiment to recognize and reward kindness in NYC. 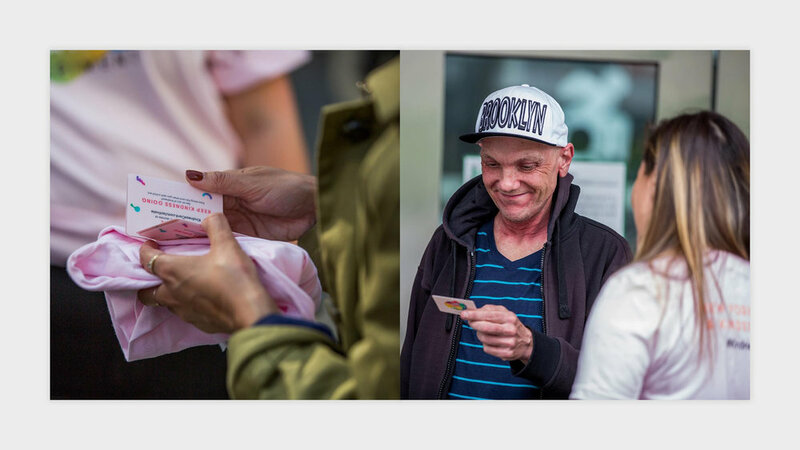 New Yorkers were rewarded $10 for performing an act of kindness; whether it was giving up a seat for a pregnant woman on the train or a simple smile and friendly hello to a stranger. Dynamic data visualization mapped the 5,000 cards in circulation, showing how kindness spreads. 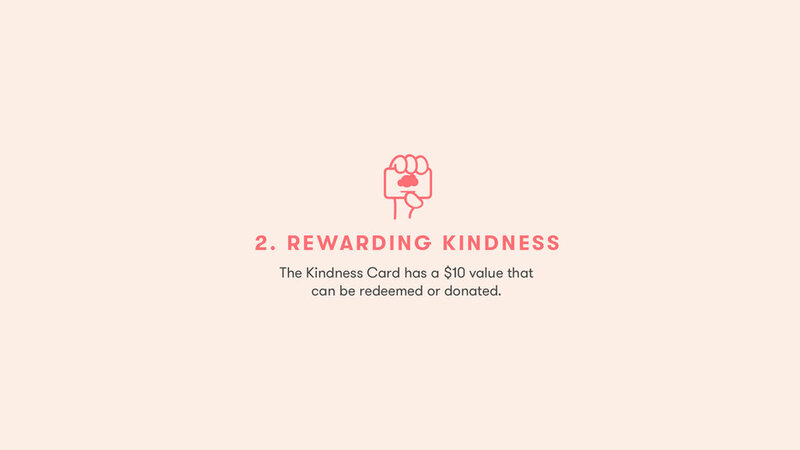 Bajibot interfaced with Tango's API to create the Kindness Card reward redemption system. The clients highest concern was security, so we strategized a user flow utilizing Facebook connect and email verification. Kindness can be found everywhere, even in NYC!